Last Thursday we held our second annual charity ball in aid of Macmillan Cancer Support and we’re pleased to report it was a huge success. Held in the beautiful Sopwell House in St Albans, a fantastic time was had by all and more importantly we raised a lot of money for a great cause, £17,800 to be exact. The Ocado gang certainly scrub-up well and we had a wonderfully turned-out turnout, all ready for a fun-filled opera-themed evening. The entertainment included singing waiters, a live five-piece band, very impressive live singing from Ocado’s Cece and a ‘Golden Ticket’ lucky draw with lots of posh prizes. Silhouette artists making pictures at people’s tables was a big success and also raised extra money. 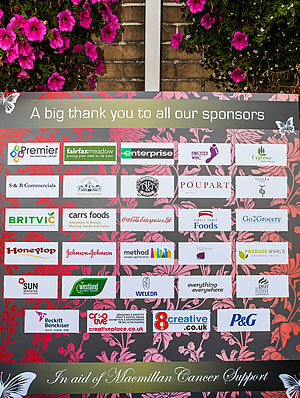 Our sponsors and partners all contributed very generously to the evening and deserve a big thank you. They include: Bertrams, Britvic, Carrs Foods, Coca Cola, Cypressa, Direct Table, Dovecote, Go 2 Grocery, Honeytop, Johnson & Johnson, Method, P&G, PLB, Poupart, Premier Decorations, Produce World, Reckitt Benckiser, Sun Branding Solutions, The Brand Distillery, Weleda, Westland, Nivea, S&B Enterprise, August Media, 2 Sisters, Gallio wines, Shearer candles, Lindt, Sopwell House, T-Mobile, Waitrose, The Creative Place, 8e Creative, Duchy, Daylesford, Michelin tyres, Moet, PieMinister, Rocket Garden, Judy Britton, Frontline, Simple, buyagift.com and Badger Beers. The Macmillan Cancer Support is such an important and worthwhile cause I would like to offer a huge thank you and well done for getting involved and embracing our fundraising, you have really made a difference. We are looking forward to next year’s ball already. 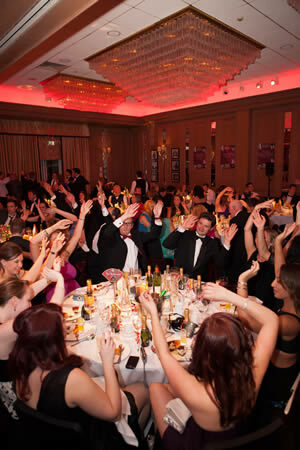 This entry was posted in Talking Ocado and tagged Charity ball, Golden Ticket, Macmillan by Ocado. Bookmark the permalink.